The sales process in the solar residential sector can be tough. Sales reps have to deal with high customer acquisition costs, difficulties with team workflow, and shortage of time when it comes to professional preparation of documents at the initial stage. The EasySolar* app can substantially improve this process. Presenting different scenarios of photovoltaic systems to customers usually requires a lot of time from solar reps and an engineering team with no guarantee of conversion. Usually, solar companies combine Excel spreadsheets with a sales management software and homegrown code. This means dedicating at least 3 hours of work, blocking further project development. With the EasySolar app, customer requests or changes such as different module layouts or financing models can be applied directly to the project. When the engineering team is responsible for both design and proposal preparation, it can create an additional bottleneck in sales process, especially with numerous requests for proposals, or when individual economic analysis preparation is time consuming. However, if the software is simple enough to be handled by solar representatives, and advanced enough to present desirable data to the customer, the engineering team does not have to be involved in the process of initial system design, price quotes, and feasibility studies. This helps to maintain the customer pipeline. Let’s have a look at the sales process with the EasySolar app and online platform. After first consultations, a sales representative goes to perform a site visit to collect the first project data. This is the moment when a good use can be made of the mobile app. A professional tool on a smartphone or tablet is always more impressive for customers. First measurements such as: solar radiation, azimuth, rooftop inclination angle, and shadow analysis can be performed using the EasySolar mobile app. Subsequently, the PV design can be made by capturing a rooftop photo and performing quick 3D visualisation on a mobile device with few clicks only. Any change of layout can be performed right away so that the customer can see the possibilities of module collocation on their rooftop. Alternatively, layout can be placed on Google Maps or sketch. Component configuration can be performed selecting among more than 50,000 modules and 5,000 inverters. With a few more clicks, economic analysis can be calculated using a variety of financing models and flexible price quotes. A beautiful proposal, with the preparation taking no more than 5 minutes, can be sent to the customer via email right away. All data, including financial analysis, component prices, and selected components, are saved for future projects. It means, the more we use the app, the quicker it gets! Finally, the project can be polished using the fully synced EasySolar online platform. Projects can be easily managed and shared, and the proposal can be customized with the company logo and colours as well as chapters selection. Well-tailored software is no longer a luxury good for solar companies. It’s an integral component to boost company sales and reduce its operational costs, and it doesn’t have to be complex or expensive anymore. EasySolar helps by removing complexity from the solar sales process so that solar pros can quickly and effectively design a PV system, generate customized proposals, and manage the entire sales process … anywhere they are. A typical rate for a solar pro reaches USD$60 an hour. It’s 3 times more than EasySolar’s monthly subscription plan. If we assume they need at least 3 hours to create a preliminary project in a conventional way, and only 5 minutes if they do it with EasySolar, it’s easy to calculate that, using this powerful software, the company is saving at least USD$175 per project. Also, note that the EasySolar app is available worldwide. Although it may take one afternoon to learn how to use the app, EasySolar offers strong technical support, including free webinars. Time dedicated to learning this powerful software quickly pays off and helps solar businesses to grow. 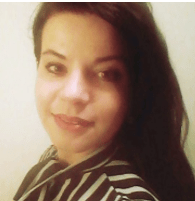 About the Author: Joanna Giętkowska, International Business Manager at EasySolar, is responsible for international customer service, product development, IT support, and public relations. Her adventure with solar started when working as an economic analyst for photovoltaic plants in the Canary Islands. Since then, she has also given lectures in photovoltaics for the commercial sector and worked as the editor of online photovoltaic magazine panele-fotowoltaiczne.pl. Joanna has a MSc in Solar Energy with a bachelor’s degree in engineering relating to environmental protection & management (Gdansk University of Technology, Universita dell Salento & Universidad de La Laguna). *This article has been kindly sponsored by EasySolar.